And even Ygritte from Game of Thrones. 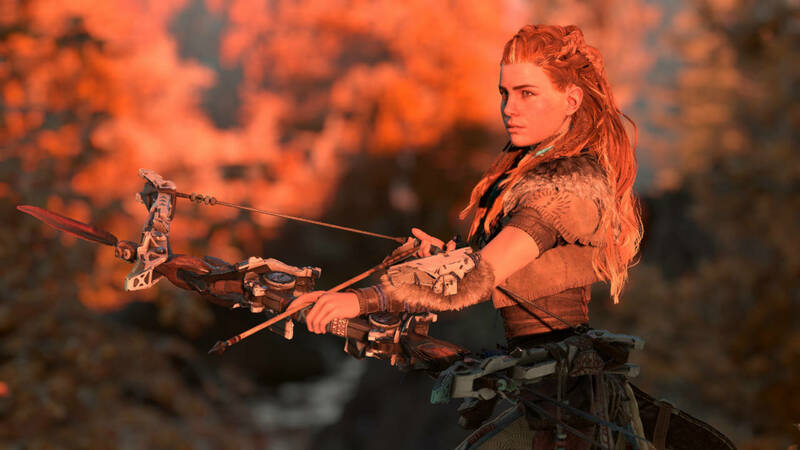 Guerrilla Games’ Horizon: Zero Dawn may not be out till next year (and it’s looking like a late release) but it was arguably one of the biggest talks of E3 2015, especially when it comes to the central protagonist Aloy. There are plenty of strong female characters coming up in games like Mirror’s Edge Catalyst, Ride of the Tomb Raider and Assassin’s Creed: Syndicate though. So where did Guerrilla take inspiration for Aloy? Game director Mathijs de Jonge spoke to OPM (via GamesRadar) and said that there were actually a number of different directions for Aloy. “We felt we had quite an original composition and combination of elements with the robots and the nature, so we also felt like it needed an original and strong character to go with that. The Game of Thrones connection is apparent when you consider the setting for Horizon, which takes place in a far flung future where humanity is still using bows and rudimentary hunting tools though robots are the dominant species. What are your thoughts on Aloy overall? Let us know in the comments.